Twenty-one of Australia’s best under-18 athletes including sprint star Jack Hale will join athletes from over 140 countries at the IAAF World Youth Championships, Cali 2015 starting this Wednesday in Cali, Colombia. He may not be new to the international media, but it will be Jack’s first time stepping onto the international stage, when he competes in the 100m. “I defiantly feel like I can bring home the gold, that’s my goal here… to come away with the gold,” Hale said. “I’ve just got to think about getting out of the heats, out of the semi’s then go for the final,” Hale said. Jack currently ranks 12th in the world at a world youth level. However, with his personal best of 10.42 he will be a strong competitor. Team mate Jordan Shelley will also be taking to the track in the heats of the 100m. 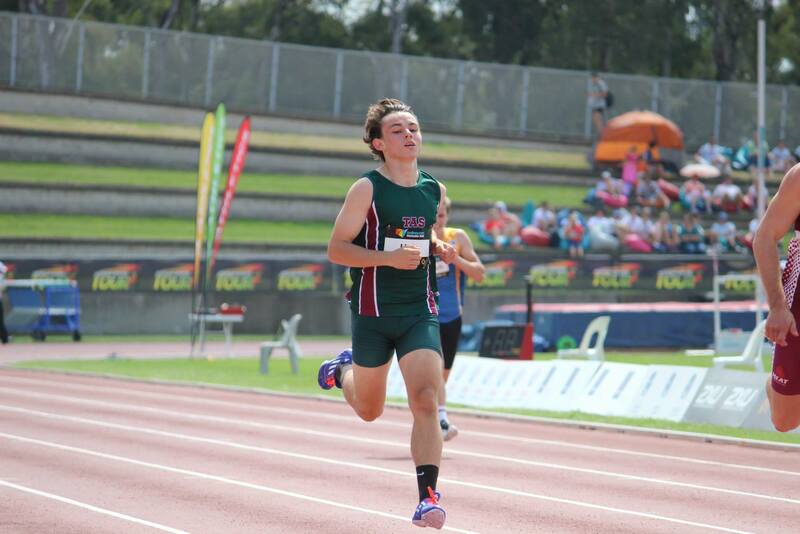 Shelley was also a competitor, against Hale, in the 2014 Australian All Schools Championships where he clocked a wind assisted 10.44 seconds. For these athletes, Colombia will be their first real international experience, and for team captain Darcy Roper, this is no different. Roper is in career best form, after his personal best jump of 7.91m in the long jump at the 2015 Australian Athletics Championships. World race walking representative Jemima Montag (VIC) produced a massive personal best of 22:04.30 in the 5,000m walk at the team’s pre-departure meet in Brisbane last month. With previous experience at international level Montag will be well prepared to take on any challenges that come her way, in particular the Russian team that dominates the 2015 rankings. IAAF World Race Walking Cup bronze medalist team member Clara Smith (QLD) will also feature in the day four final alongside Montag. Victorian Ned Weatherly is another to watch in Cali, the Frankston athlete will compete in both the hammer throw and shot put. 17-year-old Weatherly will take on the might of Ukraine hammer thrower Hilb Piskunov who will go in hot favourite with a season’s best six metres over his closest rival. With a personal best of 79.03m Weatherly could be the one to split Ukraine team-mates Piskunov and Mykhaylo Havrylyuk who has a season’s best of 78.58m.